Wait, how old is Jeff Ward? 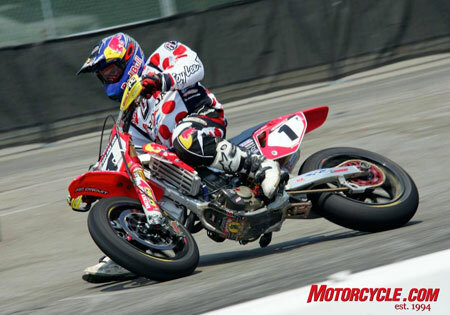 He was already a grizzled veteran when he won his second AMA Supermoto championship in 2006 – which is the same year he was inducted into the Motorsports Hall of Fame of America. 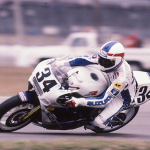 He’d already been inducted into the Motorcycle Hall of Fame in 1999, after winning several thousand AMA Moto- and Supercross titles. If Wiki has it right, Jeff Ward is 57 years old. NEWPORT BEACH, CA (Jan. 8, 2019) – Jeff Ward, a seven-time AMA Motocross champion, AMA Supermoto champion, IndyCar and NASCAR racer, Motorcycle Hall of Famer and one of the most versatile and successful competitors in the world of motorsports, will return to the racetrack to compete in American Flat Track events in 2019. Ward will compete in the AFT Singles division at all five TT races – and maybe even a Short Track or two – aboard KTM 450 SX-F machinery with support from fellow racer and Moto Anatomy riding-school owner Johnny Lewis, Blackmore Ranch, KTM, Troy Lee Designs, Malcolm Smith Motorcycles, The W Training Facility and Monster Energy. 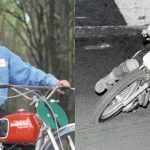 “Most folks probably don’t know this,” Ward said, “but I started racing flat tracks and TTs as a youngster, and then gradually moved to motocross, so I’ve got some pretty deep flat track roots. I’ve been riding lately at the Blackmore Ranch flat track facility in Southern California, and really enjoying it. I also watched all the AFT races on NBCSN in 2018, and I got to thinking, ‘Let’s try this…’ – and here we are! 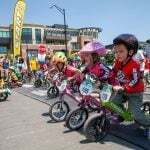 “The plan,” continued Ward, “is to do the five TT events, and maybe catch a Short Track or two. I’ll be riding KTM 450s, with set-up, logistical and training help from Johnny Lewis. I’ll ride one of Johnny’s KTMs at Daytona in March, and one of my KTMs in Arizona in April, as it’s close to my So Cal base. After that we’ll figure out logistics for the rest of the rounds.